Leroy Gardner is Professor of Structural Engineering and Director of Research in the Department of Civil and Environmental Engineering at Imperial College London. He is a Chartered Engineer and Fellow of both the Institutions of Civil (FICE) and Structural (FIStructE) Engineers. He is engaged in teaching at both undergraduate and postgraduate level, specialist advisory work and leading an active steel structures research group. His principal research interests, in respect of which he has co-authored four textbooks and some 250 papers, lie in the areas of structural testing, numerical modelling and the development of design guidance for steel structures. In particular, through his involvement in European and other research projects, he has devised methods for designing with non-linear materials and has contributed to the formulation of design rules for Eurocode 3. He is a member of the European and BSI Committees responsible for Eurocode 3. Prof Gardner is actively involved in both the Institutions of Civil and Structural Engineers. For IStructE, he is Chair of the IStructE Research Panel, past Chair of the North Thames Regional Group and Member of the Papers Awards Judging Panel and the Structural Futures Committee. He is also Editor-in-Chief of the International Journal of Steel Structures, and the new research journal of the Institution of Structural Engineers - 'Structures'. 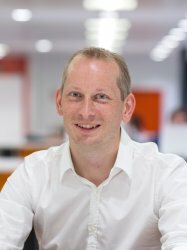 Prof Gardner was awarded the IABSE prize in 2017.